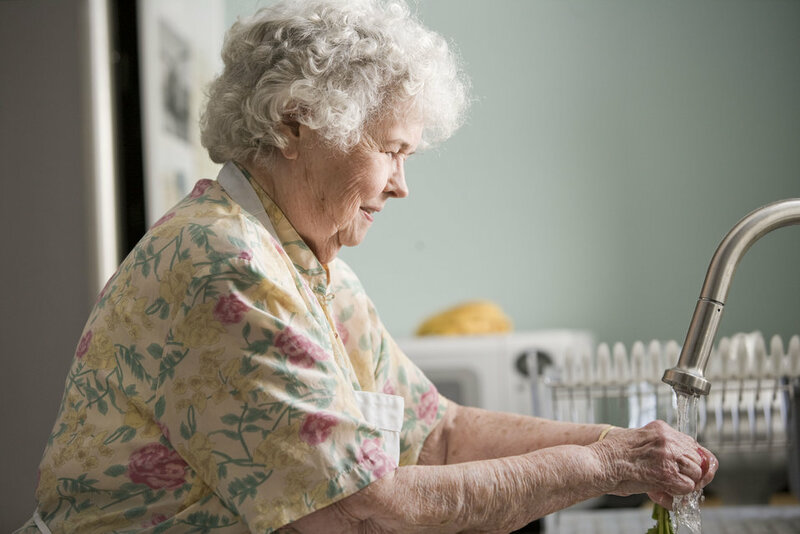 Properly cleaning fresh, uncooked produce is a must when preparing a meal, and with this in mind, the elderly woman pictured here was doing just that, as she was thoroughly cleaning a number of carrots and radishes. Note that there was soil still clinging to the tubers, which would have to be entirely removed using vigorous scrubbing with soapy warm water. Cleaning also will remove environmental pollutants, such pesticides from the foods' surfaces.